Since 1911, Chevrolet is trying its level best to present itself an international automobile brand. Chevrolet is renowned in providing fuel-efficient, safe and steadfast vehicles of finest quality, impressive design and superb performance. Automobile companies put their efforts all together to come up with vehicle that delivers enhanced power, improved fuel economy and less emissions because a customer take into consideration these points when he/she plans to buy a vehicle. It is difficult to integrate all such things in a single vehicle but Chevrolet made it possible in 2012 Camaro which features 3.6L direct injection V6 engine. Exhaust flow in it is 10% improved than the prior V6. 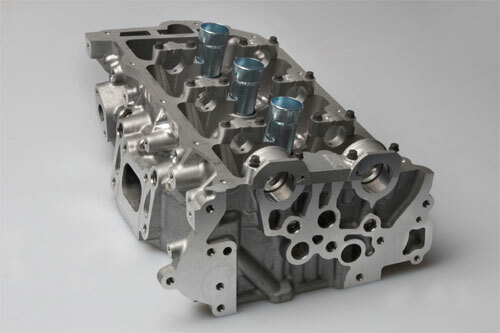 Exhaust manifold is combined with cylinder head into distinct aluminum casting in the engine of 2012 Camaro. Every incorporated exhaust manifold cylinder head substitutes a cast iron exhaust manifold, six bolts, a gasket and a heat shield and three bolts. With the elimination of this joint, the prospective for a gasket failure is eradicated and the modification lessens engine weight by 13 lbs. or 6 kg per engine. This reduction in weight improves fuel economy, that’s why EPA value of 2012 Camaro 2LS is estimated as 30 mpg on the highway. GM assistant chief engineer for V6 engines, Ameer Haider said, “Reducing engine mass of this magnitude doesn’t happen often, engineering usually looks for reduction in terms of grams not pounds. It’s just like removing a set of golf clubs from your car when you don’t need them – ultimately it saves fuel. When combined with other mass reductions, the customer will see better fuel economy over time with better performance. The new, patented design benefits the customer in all the key areas without any tradeoffs, emissions, performance, fuel economy, and noise all improve with the integrated exhaust manifold. ” In short, we can say that the new head design has brought many positive changes in 2012 Camaro i.e. less emissions, slender engine and noise cutback and heads of the new cylinder has reduced the engine width by 117mm.